While Scribblenauts Unlimited has been available in North America for quite some time now, there are still a few unfortunate souls out there who haven’t experienced the fun, silliness, and challenge of Maxwell’s adventures. For those folks—or for those of you who like the idea of keeping the earlier Scribblenauts games in one place—there’s the Scribblenauts Collection, now available on store shelves in North America. It’s an excellent way for the uninitiated to get into the game at a budget price, and as it’s technically a DS collection, it’s accessible to just about everyone with whatever iteration of the Nintendo DS system. 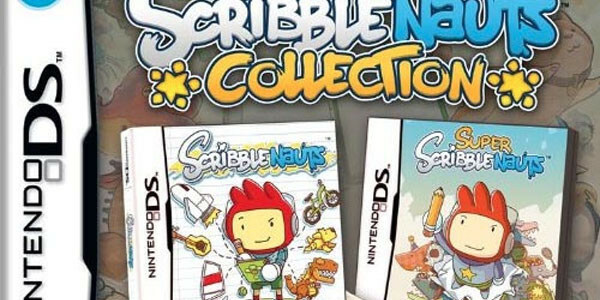 The collection includes Maxwell’s first two adventures—Scribblenauts and Super Scribblenauts—which remain the same in terms of gameplay, with one exception… updated controls, so that players can manoeuvre Maxwell four different ways (helping to avoid the occasional frustrations of the first game). If you haven’t played these games and you’d like to, this collection may be the perfect opportunity! Europe hasn’t received the collection yet, but keep an eye out for an upcoming release date.